Start-ups and small beauty brands and retailers are often so focused on getting their product and brand prepared for sales that they neglect the unfamiliar, yet vital, area of social media and therefore lose a massive opportunity to build brand awareness. Let Social Media strategist Warren Knight support you with his step-by-step keynote seminar, and help you set-up and start winning new business through Social MEdia in 2017. 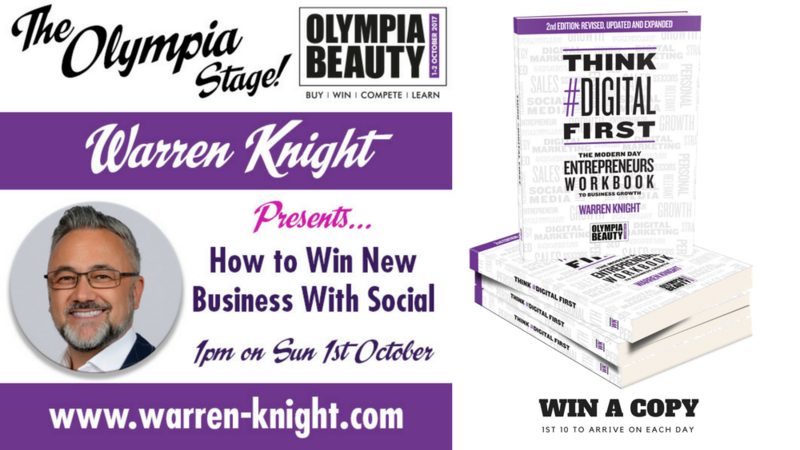 You will also have the opportunity to get a free copy of Warren’s second edition of Think #Digital First, written and designed specifically for the beauty industry.